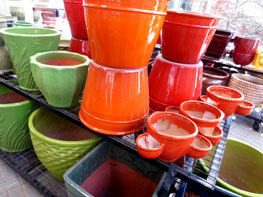 NHG sources an array of colorful glazed pottery in styles & sizes suited to any garden or patio. Whether bold, sleek contemporary or antique/distressed styles are your taste, we have a year-round selection and can assist with special orders, too. 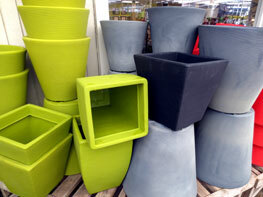 Fiber cement containers offer the timeless appearance of cast stone with the convenience of lightweight versatility. 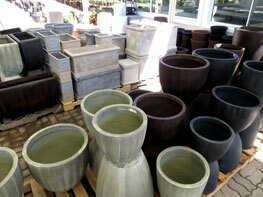 NHG stocks both classic and contemporary styles in a variety of sizes suitable for an array of plant combinations. NHG stocks economical, utilitarian plastic vessels as well as high-end, durable plastic planters that come with a 10-year manufacturer’s warranty. 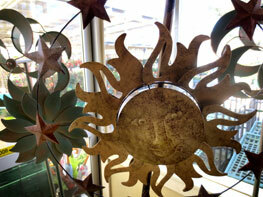 Styles range from simple faux terra-cotta to brightly colored, contemporary forms. 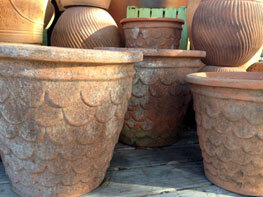 You’ll find a wide assortment of Italian terra cotta pots year-round. NHG also stocks specialty terra cotta planters from Mexico and Thailand and features hand-crafted terra cotta vessels aged in greenhouses for an authentic mossy patina. We offer a variety of iron and steel garden accessories, including pergolas, trellises and obelisks in styles ranging from basic to hand-crafted antique reproduction. 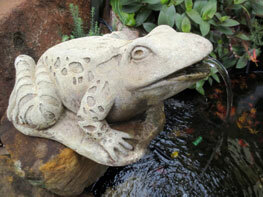 You’ll find water features suited to any garden or patio space, large or small. Our fountains include hand-crafted cast concrete specimens and unique fiber cement models in classic and contemporary styles. 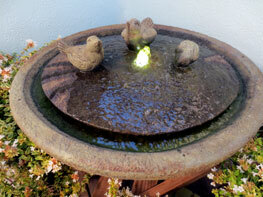 NHG sources birdbaths and concrete garden statuary in a variety of styles and finishes. Mythical creatures, garden animals and Asian-inspired lanterns & deities can be found year-round, and we’re always happy to help with special orders, too. 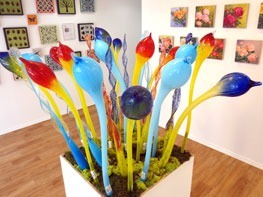 Sculptural glass pieces provide a uniquely colorful focal point in any garden, and NHG selects a variety of styles and colors to suit installations large or small.